In this project each image required a similar workflow, once I plan the workflow, I should be able to finish each image efficiently. That happened with this job. 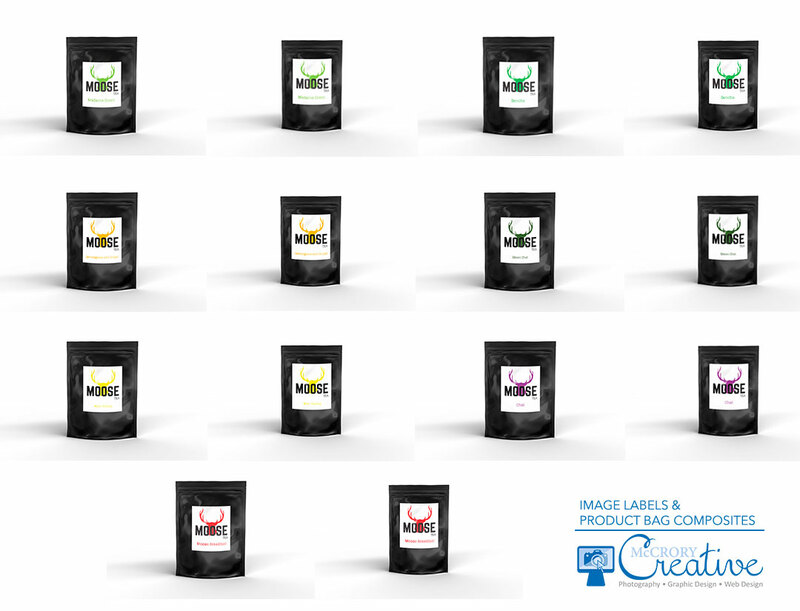 I prepared Moose Tea’s image labels for print and then edited these product bag composites with their different labels and different bag sizes. Using Adobe Indesign for the labels and Adobe Photoshop with Smart Objects with the product bags. They look good!